💋 One of my goals this year is to say "yes" more. I have a tendency to get stuck at home, doing the same routine. 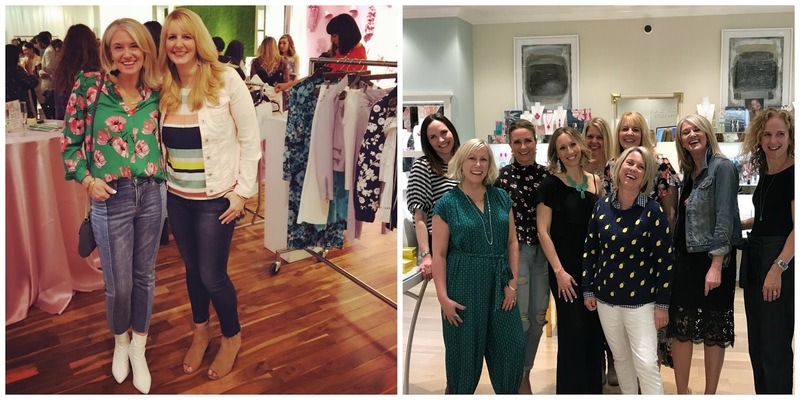 This month I said yes and attended two events with my Ageless Style friends and the Seattle blogging community. It's so much fun to get dressed up and see what's going on in the world. 💋 Watching: The Quiet Place. My son drug me kicking and screaming to this movie, because I don't like horror films. But it's more suspense than horror, and it was SOOOO good. Emily Blunt is absolutely amazing, and it's the kind of movie you want to see on the big screen. I also saw I Feel Pretty with Amy Shumer, and give it two thumbs up. It's a must see for all women, especially if you have daughters, nieces, granddaughters, or any special girls in your life. I teared up a little, which I never thought I'd say about an Amy Shumer movie. 💋 Reading: I only finished one book this month, but it was a really long one, so maybe it counts for two? 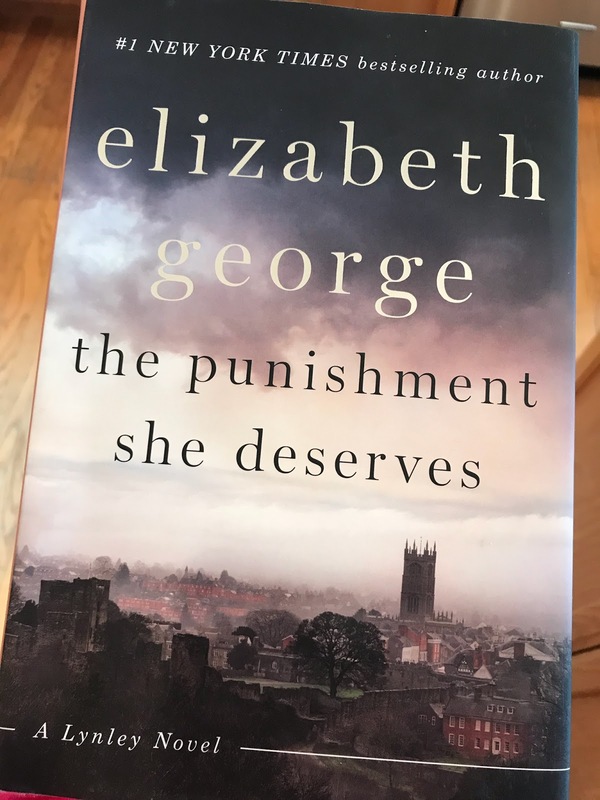 Elizabeth George is my very favorite author, but I was a little meh about her newest title. If you like British murder mysteries, go back to the beginning of her career and start reading - you won't be sorry. 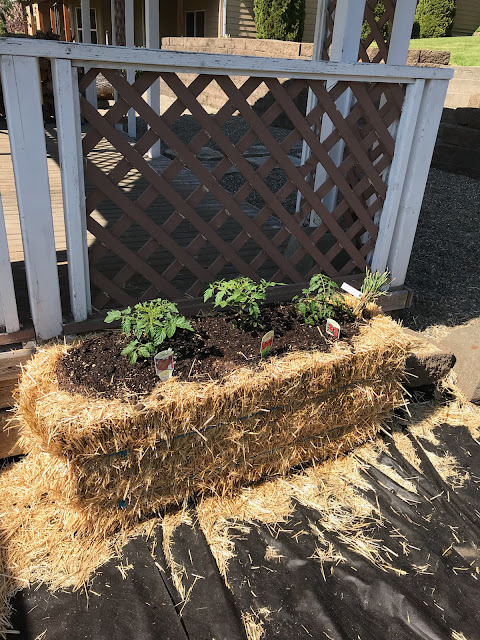 💋 Remember last year when I wrote about straw bale gardening? We were really happy with the amount of produce we got, but I realized that I never came back and showed you a picture of our straw bales. We're doing it again this year, and just started planting last weekend. 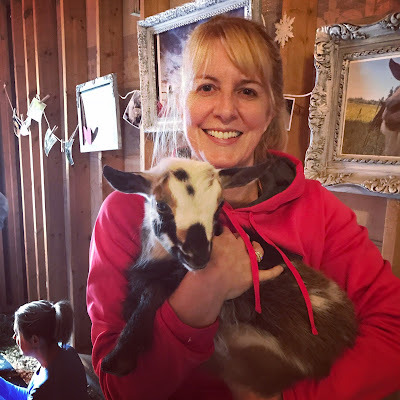 💋 I'll be writing more later for this month's "Try Something New", but can I just say... goat yoga!! This is Elwood, and I really wanted to bring him home, although I'm sure I would have regretted it later. 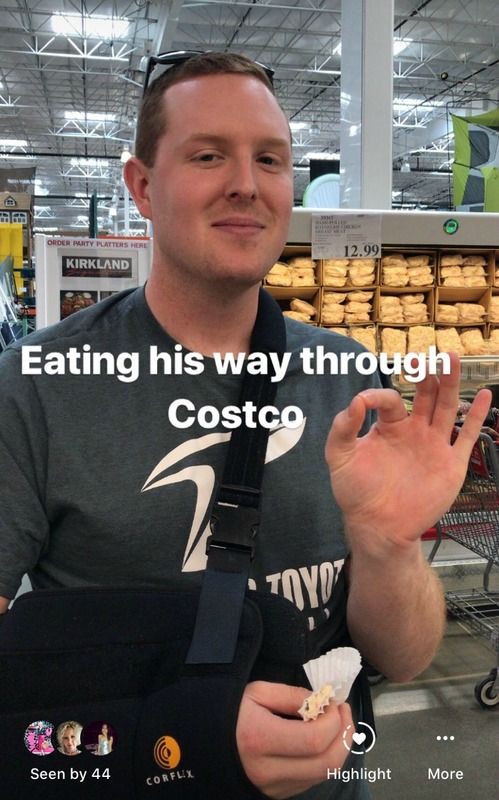 💋 Conner finally had his shoulder surgery a few weeks ago, and it's been an unexpected blessing for me. He's pretty much helpless for another four weeks while he's in a sling 24/7 and can't use his right arm. Mama to the rescue! I'm enjoying taking care of him again. As soon as he's healed up and back to work, he'll be moving into a house with his best friend, so I'm taking advantage of this last bit of togetherness. He can't drive, so he's pretty much my shadow, and I'm loving it! He might not agree, but he's stuck with me for now. I like the goal of saying yes more - to fun things, anyway! I want to see A Quiet Place, so I am glad to hear it is as good as the reviews say. Looking forward to reading more about Goat Yoga! Yes, for extra time with our sons! Enjoy it, mama! GOAT YOGA?!?! I'm coming to Seattle strictly to see you and try this! Haha. And thanks for The Quiet Place recommendation. I'm really intrigued but I scare so easily that I wasn't sure if this movie was for me. I think I might try it now! Great post, Lana! 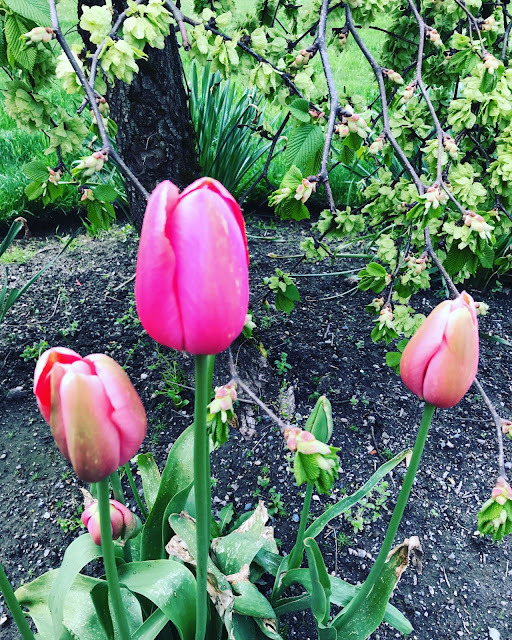 Your tulips are so pretty! I'm so impressed that you ventured out to meet other bloggers!! I need to do that around my area more!! Awwww how sweet to have your boy with you all the time for a bit - we mamas totally get it! I am so happy for you getting out in the blogging community, I wish I had some Orlando area friends to meet up with. I loved I Feel Pretty too and I think I'll see Quiet Place this weekend, my husband isn't interested but I might be able to get a son to go with me, lol! Have a great weekend Lana! Have a fun weekend- loved seeing your travel videos...looks so pretty! I'm so proud of you Lana! I wish I was closer to Houston or Austin so I could try to make some blogger events but they all seem to be on week nights. So fun! And Goat yoga...they DID have that here this past week but I didn't hear about it until it was over. So fun! Cassidy does a lot of straw bale gardening! It can really be a success! As for the movies, I'm too afraid of horror movies but I do want to see I Feel Pretty. I was thinking of doing that the next rainy day that both kids have after school care. It didn't get wonderful reviews, but that won't deter me!